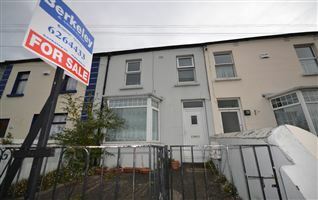 Berkeley & Associates is delighted to offer this bright end-of-terrace family home located in a commanding corner position on the roundabout adjacent to St. Louise’s School. 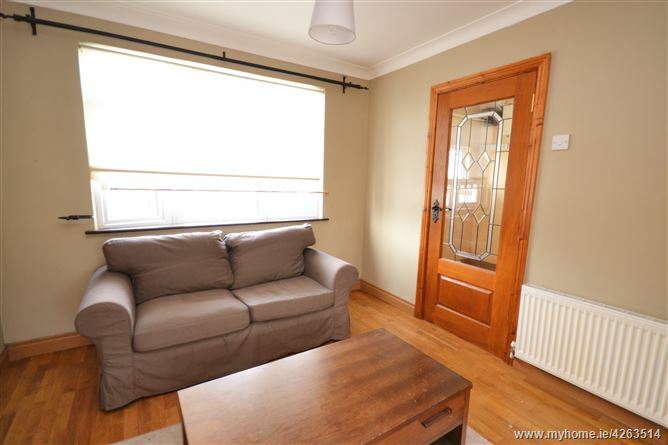 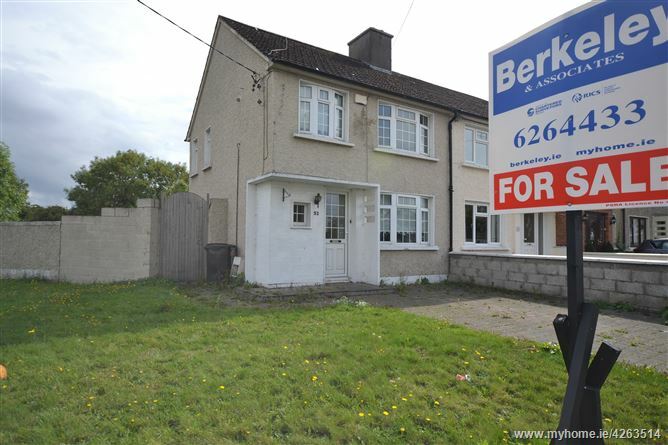 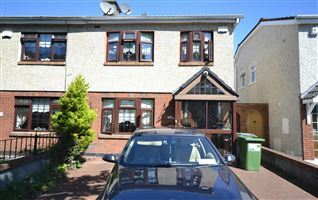 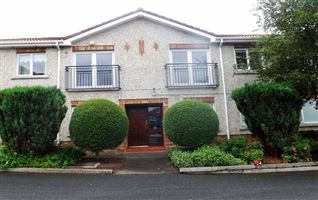 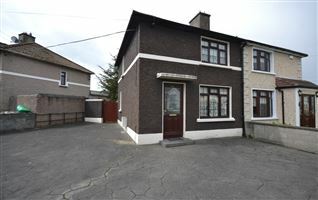 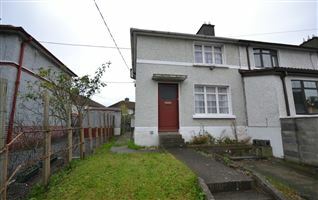 Situated close to all amenities of Ballyfermot, here is an ideal opportunity for a first-time buyer to acquire a home in a very popular location. 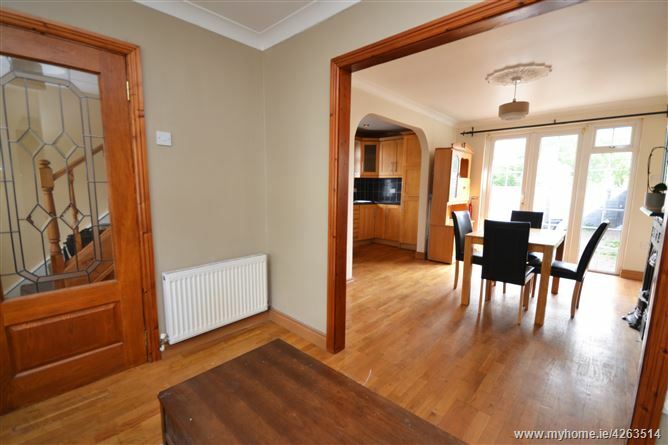 HALL	Semi-solid wood flooring, timber clad to one wall, coving to ceiling, UPVC Hall Door, understairs store which is plumbed for washing machine, radiator. 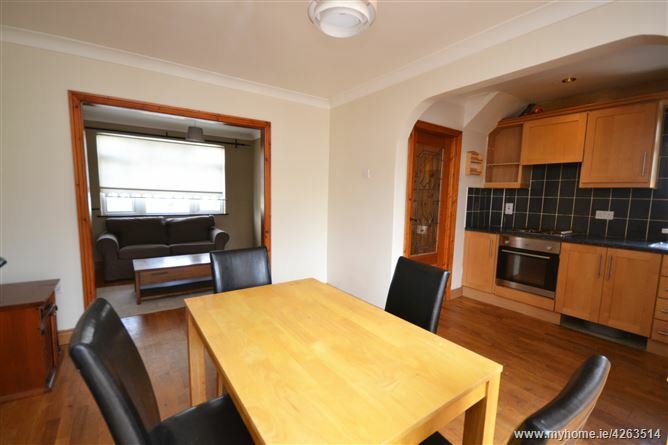 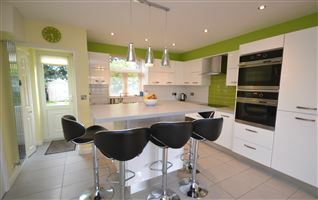 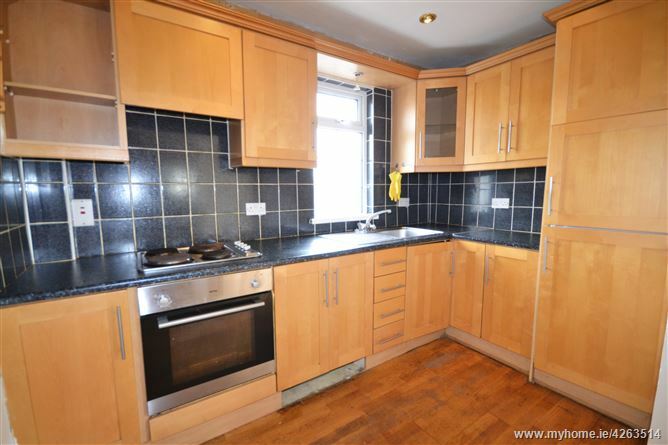 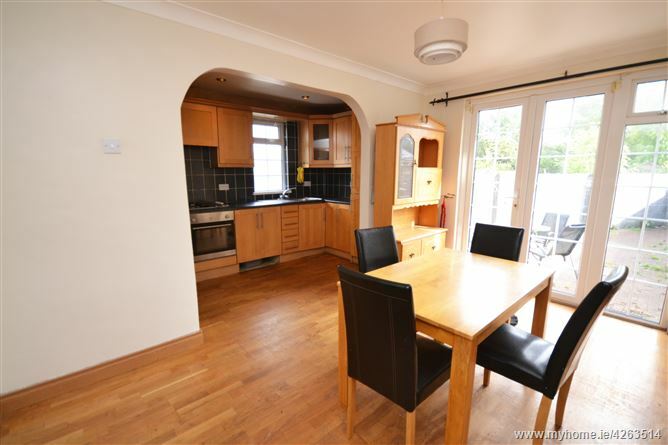 Kitchen area: 3.12x2.12 Range of fitted wall and floor maple units with work surfaces incorporating integrated hob and single-drainer stainless steel sink unit, tiled walls, spotlighting to ceiling, coving to ceiling. 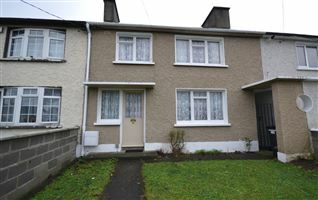 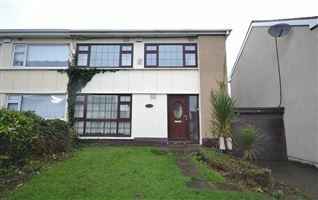 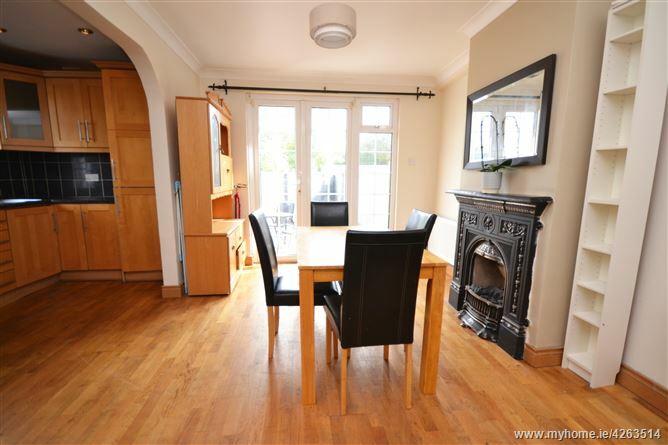 Front (formerly parlour): 3.03x2.75 Hardwood flooring, double-glazed UPVC bow window, coving to ceiling, radiator, centre rose. 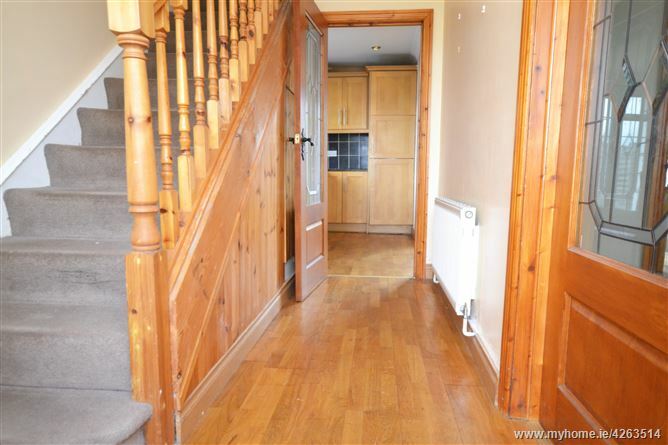 Landing	Hot Press, coving to ceiling, access to attic, window giving bright aspect. 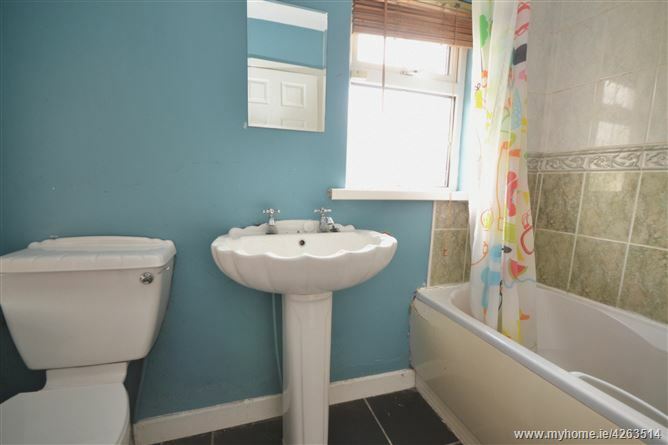 Bathroom	2.31x1.68	Bath, electric shower, WC, Wash Hand Basin. 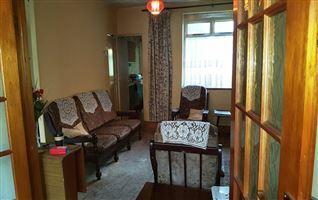 Bedroom 1	5.12x3.29	Front aspect, two bow windows giving bright aspect, additional shelves, press, floor to ceiling double wardrobe. 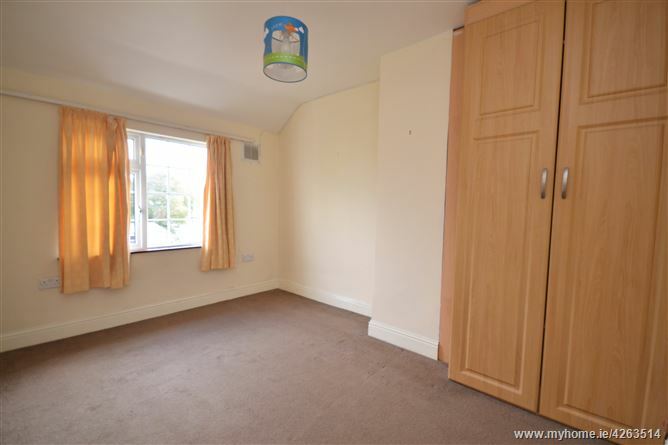 Bedroom 2	3.64x3.16	Floor to ceiling fitted wardrobe. 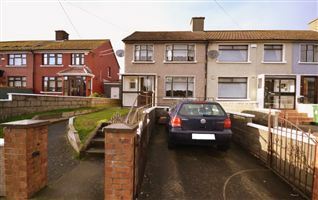 To the front there is a driveway providing off-street parking. 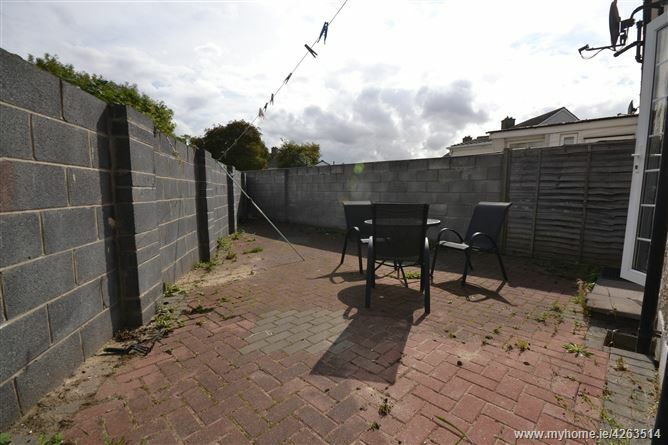 Gated side entrance leading to triangular paved rear garden.